After being sucked into the gaming world, Rad Rodgers and his foul-mouthed living game console Dusty set out on a totally awesome quest inspired by ‘90s classics like Commander Keen and Jazz Jackrabbit. Jump, run and gun across seven gorgeous, vibrant levels filled with action. Rad wields wicked weapons like Bolt Blasters and Phoenix Cannons to blast baddies. Dusty helps out by crossing into The Pixelverse, a behind-the-scenes area that enables him to fix broken parts of the game world. 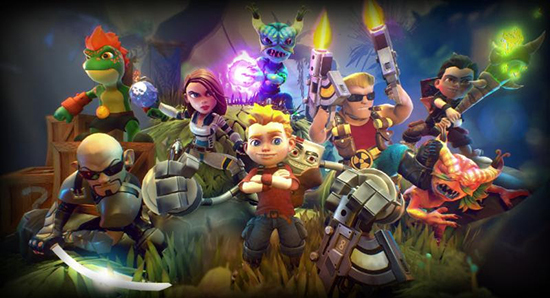 Rad Rodgers, an homage to classic '90s-era platformer from developer Slipgate Studios and publishers 3D Realms and HandyGames, a THQ Nordic company, reloads as Rad Rodgers: Radical Edition on Nintendo Switch February 26 with all-new content including local co-op, versus mode and new playable friends. Co-op mode brings back the ‘90s nostalgia of playing games with your best friend on Saturday mornings. Grab a buddy and prepare for some awesome running, gunning and jumping with new playable pals: Duke Nukem, Lo Wang from Shadow Warrior, Cosmo from Cosmo’s Cosmic Adventure and Shelly “Bombshell” Harrison from Bombshell and the upcoming Ion Maiden. Or skip friendly play and crush each other in versus mode.